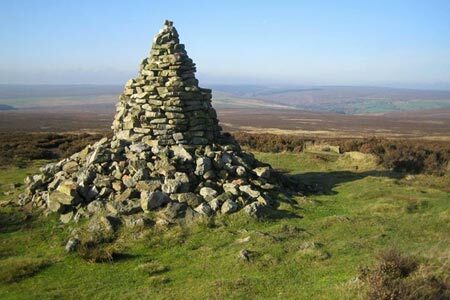 This lengthy North York Moors walk crosses Two Howes Rigg and circles the Goathland and Howl Moors. In addition the Wheeldale Beck valley is very pretty. For railway enthusiasts you may also see steam trains on the North York Moors Railway. A GPX File is available for download (see walk description).